Join us for an inspiring evening on how faith-based organizations have contributed to campaigns that dramatically improved working conditions for immigrant workers. - Susan Marquis, PhD, parishioner, Dean of Pardee RAND Graduate School, RAND's Vice President for Innovation and author of I Am Not A Tractor! 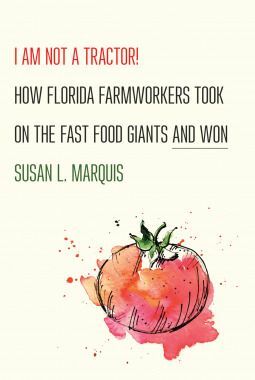 : How Florida Farmworkers Took On the Fast Food Giants and Won. The panel will be moderated by our parish's deacon, the Rev. Katie Derose, PhD, Senior Policy Researcher and Professor of Health Policy, Pardee RAND Graduate School. The evening begins with a reception and light supper in Pierson Hall (below the church) at 6pm. Seminar begins at 7pm in the main church. Admission: free. This inaugural Frederick H. Borsch Seminar is co-sponsored by Clergy and Laity United for Economic Justice (CLUE) and the Sanctuary Task Force of the Episcopal Diocese of Los Angeles. Download the PDF flyer Faith & the Public Sphere to pass along this open invitation to all.